For some, snuggling is merely a pleasant way to pass the time - for others, it's a passion. Here's a sweet kitty who clearly falls into that latter camp. 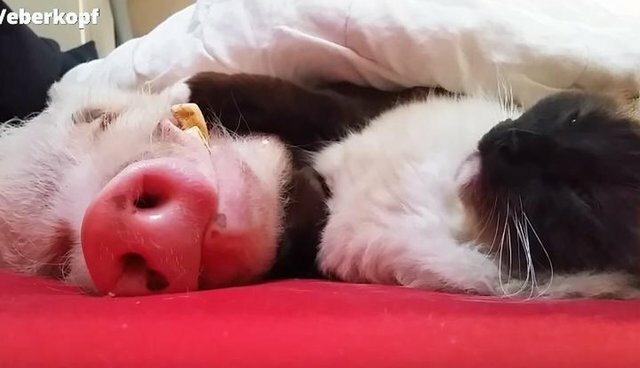 Scoffing at any undue prejudices some may have toward pigs, this skillfully affectionate feline couldn't possibly be a better cuddle buddy to his curly-tailed friend. 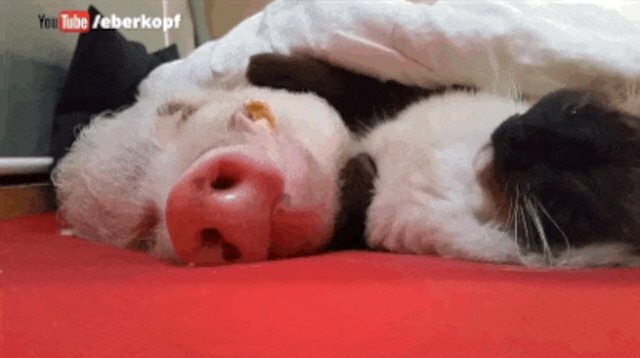 As the dozing swine snores away, the cat sticks close by to keep the pig feeling cozy and safe, gently stroking his sleepy face with an ever-loving paw. Truly, that is some world-class cuddling. Want to spoil your pet? Enter to win an exclusive Dodo giveaway of $1000 to Thrive's pet market.